Police now have new powers to tackle groomers. 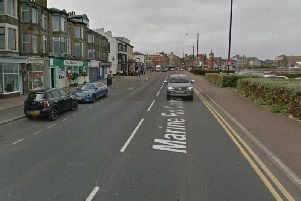 Police are appealing for witnesses after a grandmother was struck down by a car in a car park on Marine Road West. Sherie Bell was coming out of Aldi supermarket in Morecambe when she was hit by a car. The 69-year-old was knocked back as the car hit, forcing the supermarket trolley backwards into her. Mrs Bell suffered a head injury, broken ribs, bruising to her stomach and lacerations to her arm. The driver stayed at the scene to answer police questions after colliding with the grandmother. Police were called to Marine Road West at around 5.15pm on Saturday (April 8). They are currently investigating the incident and are appealing for witnesses. Mrs Bell was taken to the Royal Lancaster Infirmary and is currently recovering at home. Full interview with Mrs Bell in this week’s Lancaster Guardian.